My special guest today is Author Jennifer Hudson Taylor. Her Highland Series captivated me as I found myself experiencing the story with her characters. Below is her biography right from her website. 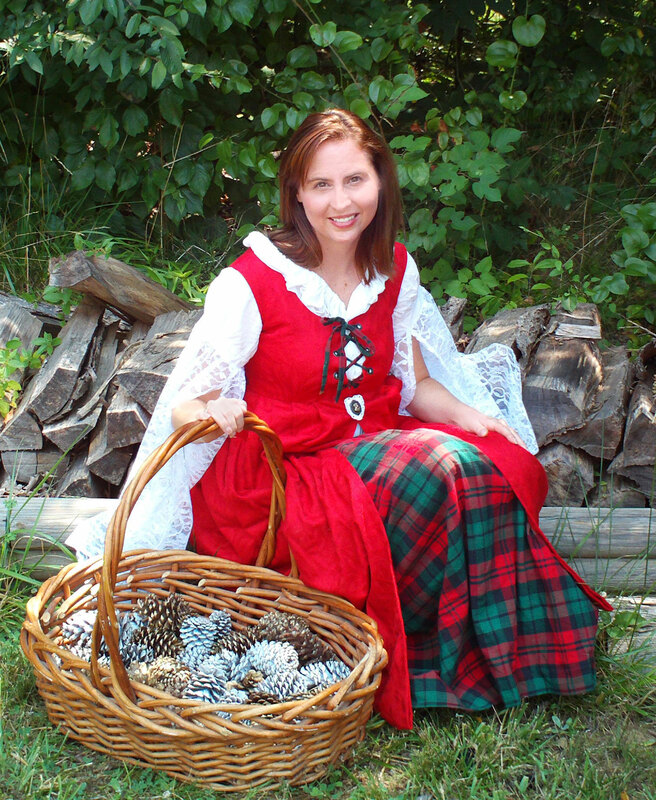 Jennifer Hudson Taylor is an award winning author of historical Christian fiction set in Europe and the Carolinas and a speaker on topics of faith, writing and publishing. Her debut novel, Highland Blessings, won the 2011 Holt Medallion award for Best First Book. Jennifer’s work has appeared in national publications, such as Guideposts, Heritage Quest Magazine, Romantic Times Book Reviews, and The Military Trader. She serves as the in-house Publicist at Hartline Literary Agency and co-owns Upon the Rock Publicist. Jennifer graduated from Elon University with a B.A. in Communications. When she isn’t writing, she enjoys spending time with family, long walks, traveling, touring historical sites, hanging out at bookstores with coffee shops, genealogy, and reading. I am so pleased to be able to interview Jennifer and find out how she created such wonderful characters. Jennifer after reading Highland Blessings and Highland Sanctuary, I was so intrigued by the details in your stories. Explain your research process to my readers. I don’t really have a process; I just love to read about Scotland’s history and try to imagine my ancestors and what they might have been like. Where did you find historically accurate information about 15th century Scotland? Three of my favorite resources include: Scottish Clan & Family Encyclopedia, Carolina Scots, and The Scotch Irish: A Social History. For Highland Sanctuary, I spent a great deal of time browsing Caithness.org. They have some great information and images of Scottish Castles that used to exist, as well as aerial views of where castles used to exist. They also have some great images and descriptions of the terrain, the weather in all seasons, the kind of plants, flowers, trees, and peat moss in the area. I did lots of Google searches on religion in Scotland during the medieval period and into the Renaissance period, especially on witch hunts and executions. While I have plenty of knowledge on Epilepsy since my daughter has grand mal seizures, I did plenty of reading on the history of Epilepsy, including a study art that had captured Epilepsy during ancient times. I discovered they called it the Falling Sickness or Falling Disease. Of course, many people believed that people with seizures were demon possessed. Why the Scottish Highlands? And why the 1400s? This is a great question. Originally, I planned for Highland Blessings to be set in the late 1300’s, but when I began looking up words that were actually in existence, none of the words I wanted to use were available. By switching the story to 100 years later in the late 1400’s, a whole new vocabulary became available to me. Even in 1477, I was very limited. For example, in Highland Sanctuary I wanted to refer to the village as the Village of Misfits, but the word misfit did not exist in 1477. The word outcast did exist so I had to substitute it. As for why the Scottish Highlands? All I can say is that Scotland has always fascinated me. Growing up, whenever I read an historical romance novel, the ones set in Scotland appealed to me like no other. I love the Scottish brogue, the clan systems, the castles, and how they continued to fight for their freedom against all odds. Even when England thought they had conquered Scotland, they could never break the spirit of the people, not even after the Jacobite War. The Scottish clan system reminds me of my family, and yes, we have plenty of Scots blood running through our veins, including the fair skin, red hair, blue and green eyes—and the temper. Unlike some of my family, I have the brown hair and brown eyes, which we believe came from my Cherokee gg-grandmother. My family names were MacGregor, Frazier, and Galloway. My husband’s family names were Grant, Henderson, and Campbell. I suppose that means my daughter has more Scottish blood than either of us. The MacGregors and Campbells have a long history of being at odds, and I use this basis in my upcoming 3-book series, The MacGregor Quest. Most of my reading regarding this time period showed a people forbidden to read scripture and what the religious leaders told them were steeped in error. Did you take literary license in painting your characters as ones who knew the scriptures? Well, in Highland Blessings the MacKenzies had a vicar who had been exposed to the Latin Bible since it was the only one available to most people at the time. The MacPhearsons were not as blessed, so Bryce MacPhearson was at a disadvantage. Akira MacKenzie was able to use her spiritual knowledge and faith to influence him. In Highland Sanctuary, Serena Boyd’s mother was from a wealthy family with aristocratic blood that would have had access to a Latin Bible. She had a lot of knowledge that she imparted to her daughter. Most people relied on the churches to teach them biblical scripture and concepts. How did you come up with the names of your characters? Is there a significant meaning in each one? Akira – Anchor (Scottish) She is anchored in her faith. Bryce – Swift (Celtic) He is definitely swift when he fights. He’s a warrior. Sim – Heard (Scottish) He is deaf and mute, but sees and knows more than they realize. Serena – Serene (Spanish) She is named for her Spanish grandmother. Since I based her seizures on my daughter’s seizures, I wanted her name to resemble my daughter, Celina, but not be the same. Serena’s character is very serene considering how she must live due to her circumstances. Gavin – White Hawk (Scottish) A wise leader. Leith – Wide River (Scottish) He is young, impulsive and everywhere. Likes to travel. Evelina – Light and gives life (Celtic) She definitely gives life. I appreciate the realistic scenarios you portray. Christians in different clans hating one another, people with disabilities being ostracized and arranged marriages. How did you decide what trials your characters would go through? Some people believe that once they finally give up their ways and come to Christ that everything in their lives will automatically fall into place and be perfect. After all, Jesus wipes away our sin and forgives us, but there is so much more to it. It’s the beginning of a new life. Living for Christ is a journey and we will be put through trials and tribulations that test us just like Jesus went through. My characters must be people with faults and real issues in order for readers to connect with them. People don’t want to read about perfect little Christians, because none of us are perfect. What is the take-away value you want your readers to grasp when they have finished their adventure in the Highlands? I want people to know that it’s okay to be different and imperfect. God will love us and accept us as we are. This doesn’t mean that God won’t try to change us, because He will. When the time is right, He will help us view ourselves and others more positively, to deliver us from bad habits, and He will give us the desire to live better. Sometimes these changes are instant, and sometimes they are in stages throughout our lives. We are all different, and our relationship with Him will be our own. Thank you so much for taking the time from your busy schedule to give us insights into your research and writing practices. Before you go tell me what new adventures do your readers have to look forward to? I have a new book that just released in January 2013, Path of Freedom set in 1858. When Quakers Flora Saferight and Bruce Millikan embark on the Underground Railroad, they agree to put their differences aside to save the lives of a pregnant slave couple. 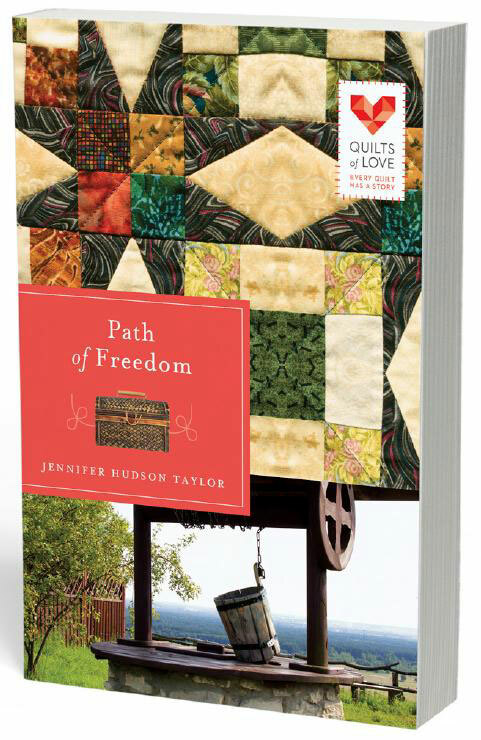 With only her mother’s quilt as a secret guide, the foursome follows the stitches through unknown treachery. As they begin their perilous journey, they hope and pray that their path is one of promise where love sustains them, courage builds faith, and forgiveness leads to freedom. Also, in September 2013, the first book of The MacGregor Quest will release. It is tentatively entitled, The Forbidden Conquest set in 1760. It’s the story of a highlander seeking revenge, but when the bargaining price becomes too great of a moral sacrifice, he must find a way to reverse his deeds and save the woman he loves. Thank you again for your time, Jennifer. I look forward to reading both of these. Jennifer Hudson Taylor’s newest book.